With the stock screener Finviz, we are evaluating a platform that has been on the market for some time and has built up a considerable amount of functionalities over the years. Within the Finviz stock screener review we will take a closer look at the features and depth of the technical, descriptive and fundamental indicators as well as filter variants for sound and reliable stock selection. We do not want to overlook the question of costs (value for money) and the applicability for beginners. ​Also, for experienced investors and traders. Transparency: When you buy certain products from some of the sites which we link to, we may earn a small share of the revenue. ​Who Is Finviz Best For? ​The stock screener finviz.com was established in 2007 and is headquartered in New York. 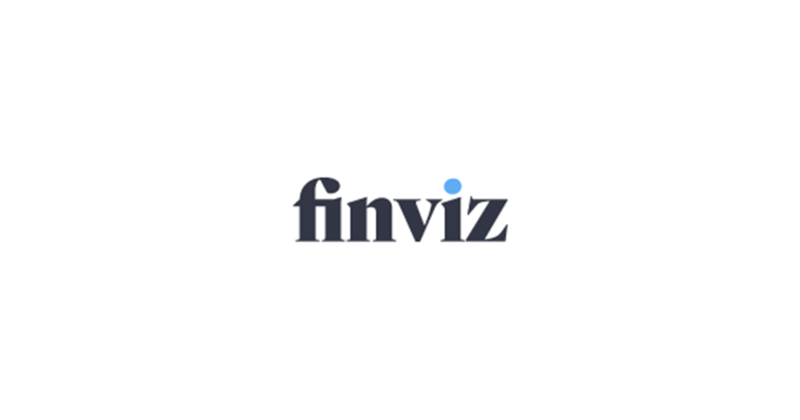 Finviz stands for "financial visualizations". With its well-known and ever since functionally constantly developed platform for daily trading, the provider claims to reach more than 1.27 million visitors per month, 90 % of them recurrent. Just over half of the users (58 %) come from the United States. Interestingly, 41 % of visitors claim a household income of over US$ 100,000. Finviz targets both retailers and institutional clients. The objective of the New Yorker provider is to be for the obviously well-invested public, with the stock screener providing „leading financial research, analysis and visualization“ quickly and clearly on a single platform. Thus, traders and investors receive a variety of information about any desired stock, future or Forex pair quickly and graphically presented as a screenshot. Within this framework, the site offers advanced stock screeners, market maps, analysis, comparative tools and charts. Although most features are free, there is a charge for advanced functionality. ​Finviz aims to engage retailers as well as institutional clients with a comprehensive range of relevant market information and professional tools. The newsfeed lists the latest news and articles according to news and blogs either chronologically or - if selected - by origin. The sources are well-known media such as Bloomberg, CNN, MarketWatch and many others. In addition, many prominent financial blogs are part of the list. The Screener is an advanced tool that allows visitors to track and filter stocks based on several descriptive (like stock market price, market capitalization or price), fundamental (like P / E, EPS growth, debt ratio, net profit margin, etc.) or technical indicators (among them chart patterns, candlesticks, or RSI levels). The results can then be further sorted applying a large number of criteria. In total there are over 60 criteria available. Adapted to different settings, thousands of filter variants are achieved for further fine-tuning of the existing screener. The Finviz stock screener is available to all users, although registration is required to save a screen (for free). The tool quickly provides an overview with it very informative graphics of how which shares are moving at their current price (red = falling, green = rising) and market significance (area size). Maps may be selected for S&P500, World Stock, Industry (Technology, Financial, Consumer etc.) and ETFs. The Groups tab provides a snapshot of the groupings. displayed rising and falling according to the criteria overview, rating, performance or, as customized. In addition, the values listed as tables can also be displayed as a bar chart, spectrum (display), grid (display) and as charts. An interesting feature not available with all screeners is the list of reported insider transactions. Of course, these can also be helpful as a selection criterion for an investment decision. The list of insider transactions will be presented in descending order as of the date of the announcement by the SEC (Securities and Exchange Commission). It can be sorted and filtered according to purchase or sale transactions among other criteria. A list of „Top Insider Transactions“ as well as the „Top 10 Percent Owner Transactions“ of the last week is also included. 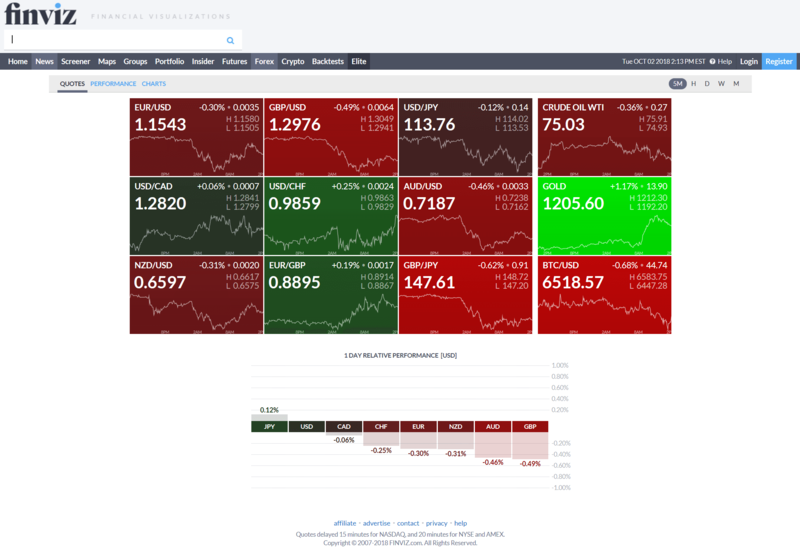 The menu function „Futures“ provides investors with a quick overview by a representation in colored tiles, as currently happens on the futures market. Included are line by line among others the prominent indices (first line), commodities (energy, food etc. ), bonds, precious metals and currencies. The different hues in green or red indicate the daily performance in the positive and negative range. The price data is shown in extra large font, including the respective daily highs and lows. A daily performance chart from light green (top performance) to light red (worst performance) is below the future tiles. With almost the same methodology as the futures, here's a quick overview of the major currency pairs. Current prices can be displayed as tiles. In addition, the performance data for the tiles can be displayed as a table, including a column diagram (tops and flops) or in each case only as charts. Currently there are performance numbers and charts for 14 cryptocurrencies. The clear tiled presentation follows the same system as for the forex values. These two features are available to paying customers. One of the most interesting features of Finviz Elite is backtesting. With this, the trading strategy is checked based on historical data to evaluate whether it would have been successful or not. The services and functions labeled „elite“ belong to the premium segment. Here, the full depth of the offer is visible: real-time data for prices, maps, groups and daily charts, as well as special charts, technical indicators and studies, and backtests. In addition, various alarms via e-mail, correlations, extended number of portfolios, custom screener settings and layouts, and data export - and all of it without advertising. A top service package for $ 24.96 a month? At finviz.com, many areas and functions are initially available for free – even without registration. But advertising is not excluded and prices are delayed. Anyway, if you want to try out the screener, you can register for free. Then it is possible to create a portfolio using the tools of the stock screener. Generated screens can be saved as well. Anyone who wants more and seeks complete professional support through the entire range of functions will opt for the paid so-called elite version. It costs US$ 39.50 per month, in the annual package at US$ 299.50 the monthly price drops to US$ 24.96.
e-mail notifications: among other things for news, ratings, prices (alarm) as well as new shares. The ad-free Finviz paid platform comes with a 30-day money-back guarantee! ​​Finviz can be used for free. However, the functionalities for the free version are limited, and only Finviz Elite will provide you with real-time data, intraday charts, and backtesting capabilities. 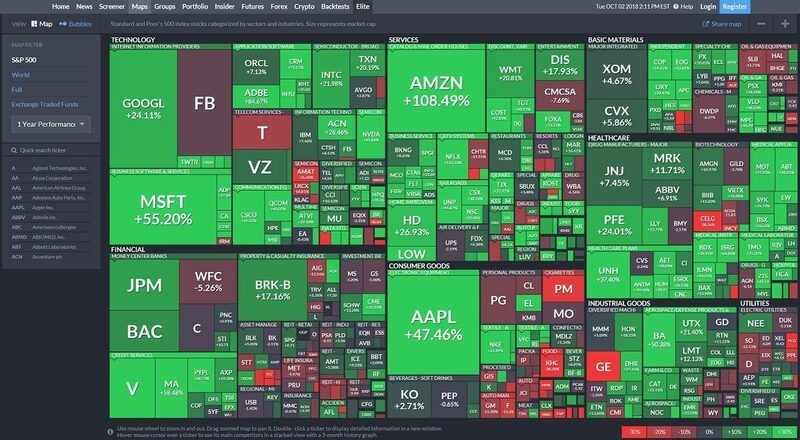 However, for long-term investors who are looking for a cheap opportunity to do basic research on stocks, the free functionalities of Finviz.com are a good starting point. ​While mid-term and long-term investors will have a lot of benefits using this stock screener, day traders will feel disappointed. Don't get me wrong, this tool is excellent. Excellent for fundamental analysis, excellent to track price developments of stocks and other financial assets. The charting ist fast and accurate. However, a day trader needs a tool that is top notch giving him the millisecond advantage. My favorite stock screener is Trade-Ideas. Check out my Trade Ideas Review for more in-depth insights. Where premium is truly premium! Finviz has been around for more than ten years now and is a pretty sophisticated but not at all overloaded and quite user-friendly stock screener platform. Even with the paid version one has to concede a good price / performance ratio. 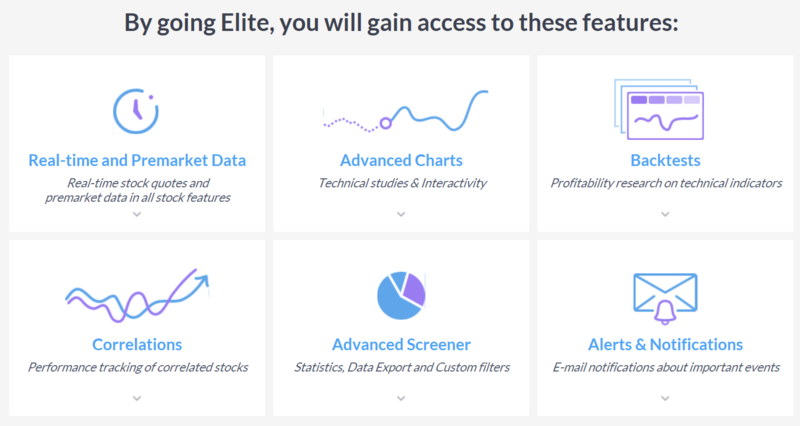 The premium service „Finviz Elite“ really has it all: real-time prices, a great depth of technical, descriptive and fundamental data on stocks but also alarm functions as well as the interesting backtesting tool. ​​The data offered about cryptocurrencies and futures is remarkable. Sure, the annual subscription at US$ 299.50 is quite a bundle. But if you really want to prepare your stock investments well, you will be able to benefit considerably from the offer. And the 30-day money back guarantee should help limit the risk of disappointment! Click here for your free test drive with Finviz.